Today I am sharing a very special post. 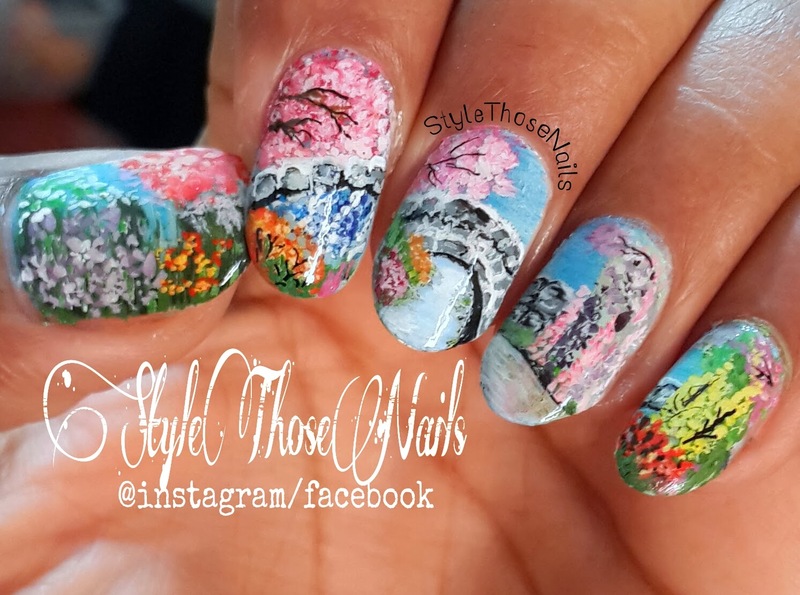 This is a spring scene inspired by Riddhi Nair aka @Ridhhisn on instagram. I have been following her on instagram for sometime and admire whatever she does. She is a great inspiration for me. I dared to attempt this design as a part of nail art competition where we need to recreate the nailart of our favourite artist. 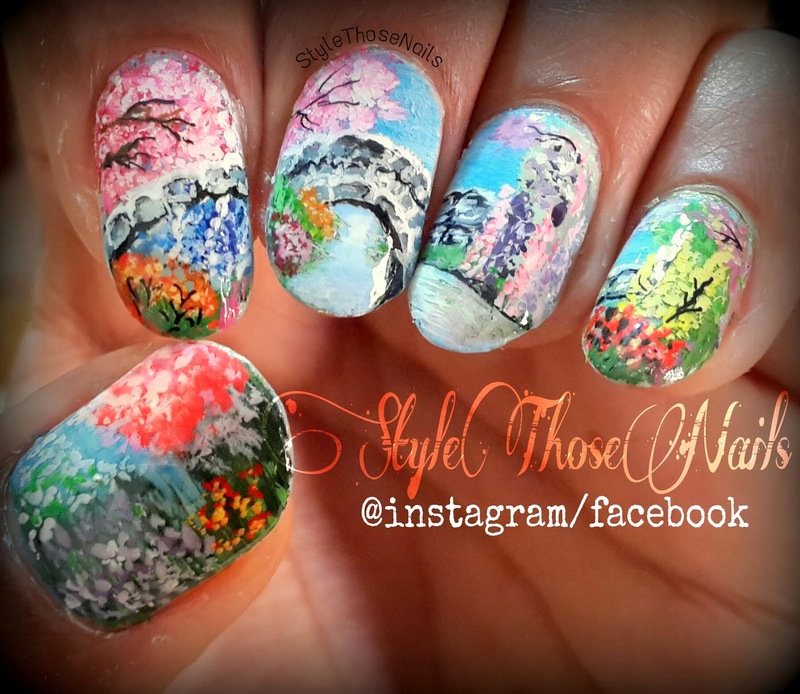 I will be sharing her nailart as well at the end. 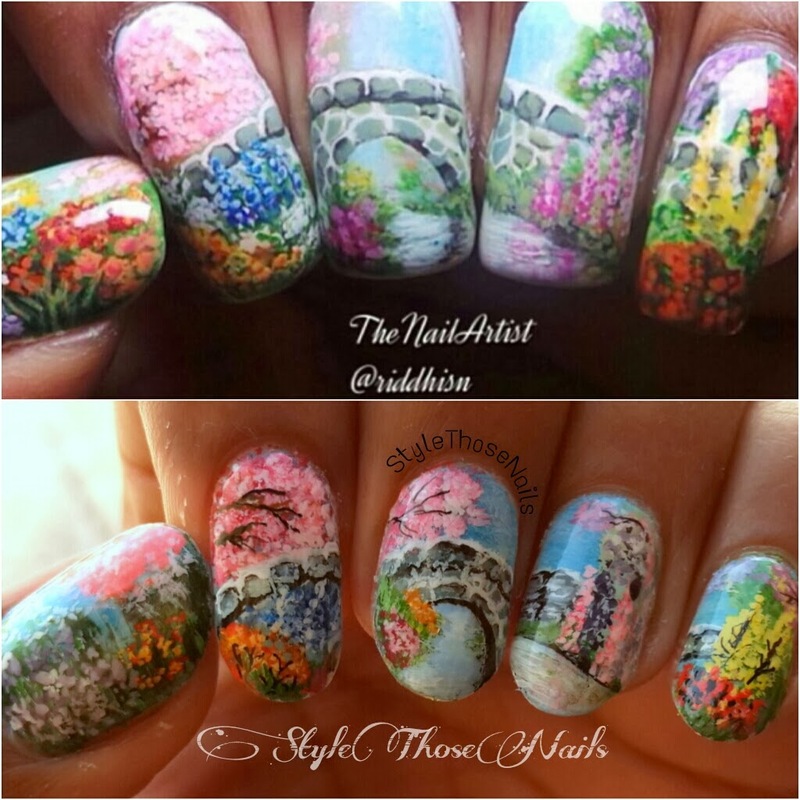 Now have a look at both of our manicures. I really hope you like this manicure. Please leave your feedback. Keep coming back for more !! I Won a Nail art Competition - Time to Brag !